Life Site Petition: Urge Your Bishops to speak out on the crisis. Got this email from LSN. A similar link seems to be here. Please sign. This initiative is very good and well worth supporting. 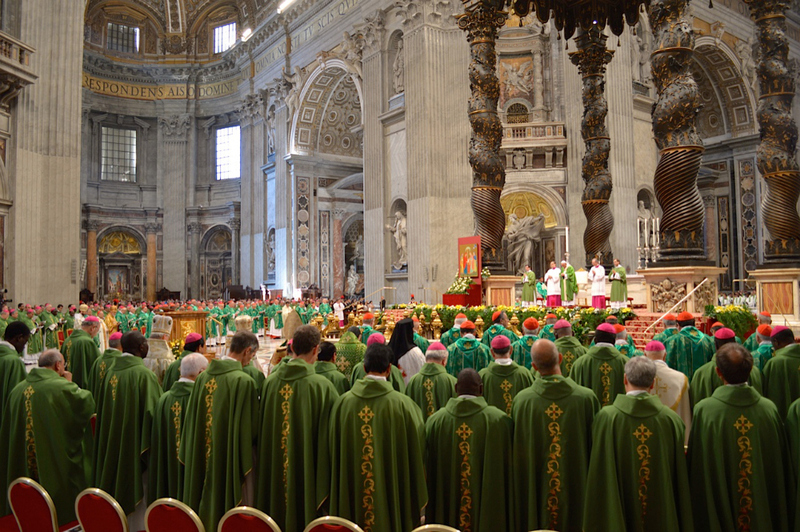 Only the Successors of the Apostles, our Episcopal Shepherds, can save the Church. The Church is suffering as never before. Confusion is rampant and division is rife. Many eminent and orthodox Catholic thinkers believe that a large part of the problem is the failure of many Bishops to forcefully speak the truth of Christ, in and out of season, without counting the cost. Now, the Lepanto Foundation is launching an appeal to all of the Bishops of the world, encouraging them to be Faithful Shepherds...faithful, first and foremost to the precepts of Christ, His Church and the traditions of our Holy Faith. Please SIGN this urgent petition. CLICK HERE. Silence, on the part of the world’s Bishops, is no longer an option! LifeSiteNews and LifePetitions fully support and endorse the Lepanto Foundation’s appeal to our Bishops. But, we are UPPING the ante! Along with SIGNING the petition to the Bishops of the world, we are ALSO calling on faithful Catholics to CONTACT their OWN Bishops, to encourage them to boldly speak-up when issues of faith and morals are at stake. When you CLICK on the link below, you will have a chance to SIGN the petition...and, you can learn more about how to approach your own Bishop. For those of us who love our Mother, the Church (Bishops, priests, and laity included), is it not time for this kind of POSITIVE action? So, when you approach your Bishop, or any other Bishop, just remember that there are still many, many good and holy Bishops - probably the vast majority - who believe in, and love, the precepts of the Faith...but, who are afraid or lack confidence. Our goal - by contacting them, around the world, and in your home diocese - is not to browbeat or belittle them, but to encourage them in their love of Christ and His Church. So, please SIGN the petition by clicking here, and, then, please COMMIT to contact and encourage your own Bishop. Thank you in advance, and may God reward you for encouraging His Shepherds. P.S. - When you SIGN this petition, an email will be sent to the various Bishops’ Conferences around the world - using the very words of the appeal* by our friends at the Lepanto Foundation, calling on the Bishops to shun human respect and careerism in favor of boldly daring to proclaim the truths of the Catholic Faith. P.P.S. - After you have SIGNED and SHARED the petition, please consider CONTACTING your own Bishop. Re: Life Site Petition: Urge Your Bishops to speak out on the crisis. I signed the petition earlier today. They are part of the crisis as well. Why would they want a petition against themselves? Signed! Thankfully the Bishop in the Diacese I attend has been very good already in addressing this.